Troubled boys in California can seek help from different facilities such as group homes. Many parents of troubled boys from California discover that group homes are not the best solution to their child's struggles. Liahona Academy is a residential treatment center that can provide you and your son from California more extensive information to help you decide which facility will best suit your situation. Call 1-800-675-8101 today for help from Liahona Academy. Group homes can be beneficial to troubled boys from California because of the “family-like” environment provided. Teens who stay in group homes are exposed to a structured home with clear rules and consequences to help them feel a sense of responsibility. By sticking to the rules set by a professionally trained faculty and staff, troubled teens can earn privileges. When teens live in group homes, they are expected to be involved in the everyday household up keepings such as cleaning the house, preparing meals, dealing with in house conflicts, washing dishes, planning group activities, etc. Living and learning together as a group can help struggling teens to develop new skills that will positively benefit their interactions with others. 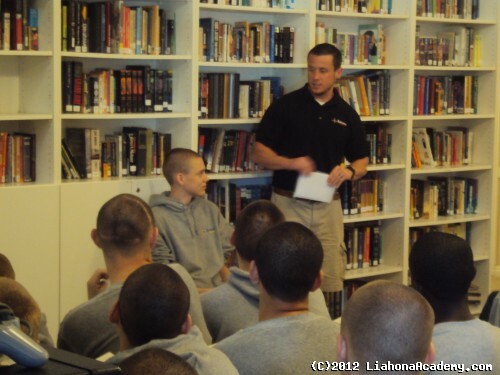 Liahona Academy is a residential treatment center that can further treatment in troubled boys from California. Group homes are very beneficial to troubled teens, but are actually a step down from residential treatment centers. Liahona Academy targets correcting underlying issues in teens lives that effect interactions with their friends and family. Issues such as emotional issues, substance abuse and addiction issues, behavioral issues and family issues can be corrected through programs specifically developed and designed with your child’s needs in mind. The safe and structured environment created by Liahona Academy can help your troubled boy by removing from the negative pressure he is feeling in his current environment. They are given positive influence from a loving staff that has a great amount of experience dealing with troubled teens and the behaviors they struggle with. Our staff chooses to be here because they genuinely care about the success and recovery of each troubled boy. For parents of troubled boys in California who are searching for group homes, Liahona Academy is ready to help you and your family in any way we can. Group homes and residential treatment centers can be beneficial in different ways. For answers to questions and more information on Liahona Academy, call 1-800-675-8101 today.